It's not fair that we often look at spider webs and get grossed out. Spider webs are quite beautiful as long as you aren't getting and ultra-up-close look as you walk through their sticky strands. Webs are just globs of string thrown together. Spiders spin webs for their homes, for trapping insects, some extra-smart spiders even spin webs that camouflage them from potential predators. Whatever their reasons for spinning webs, we should appreciate their beauty instead of shrieking at the artfully spun silken nets. 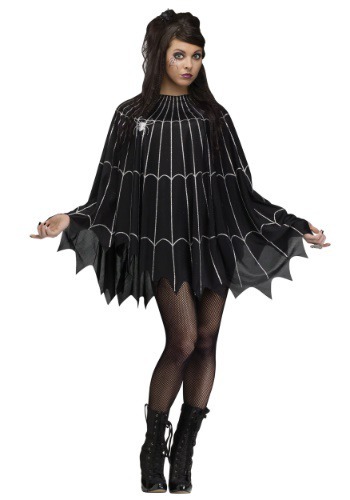 What better way to celebrate the grace and beauty of the spider web than to drape one over yourself with this fashionable poncho. That black widow will surely be flattered when she sees you don this lightweight design. The elegant design is flourished with silver lines that extend from the neck. 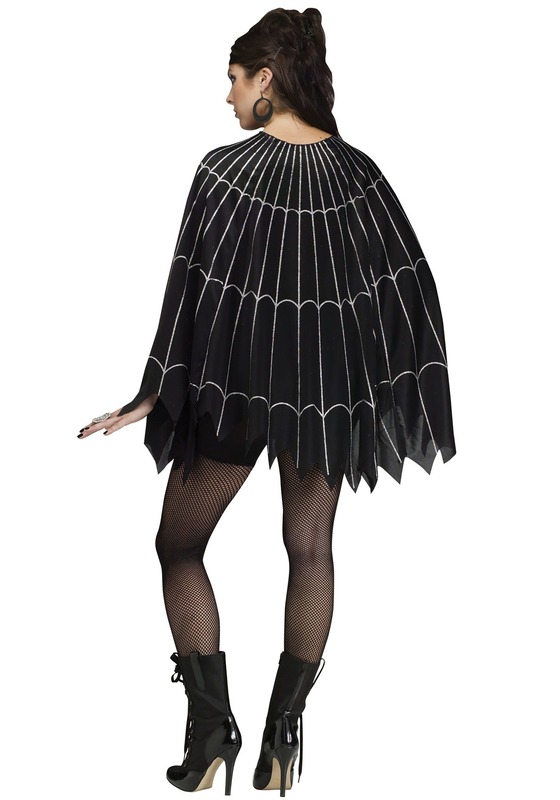 The front of the poncho features the spider herself and the hemline is waved for a spooky look. Whether you're pairing this look with some black jeans and boots or a pencil skirt and stilettos, you're sure to feel as graceful as a spider dancing on her web. It's about time arachnids got some appreciation!